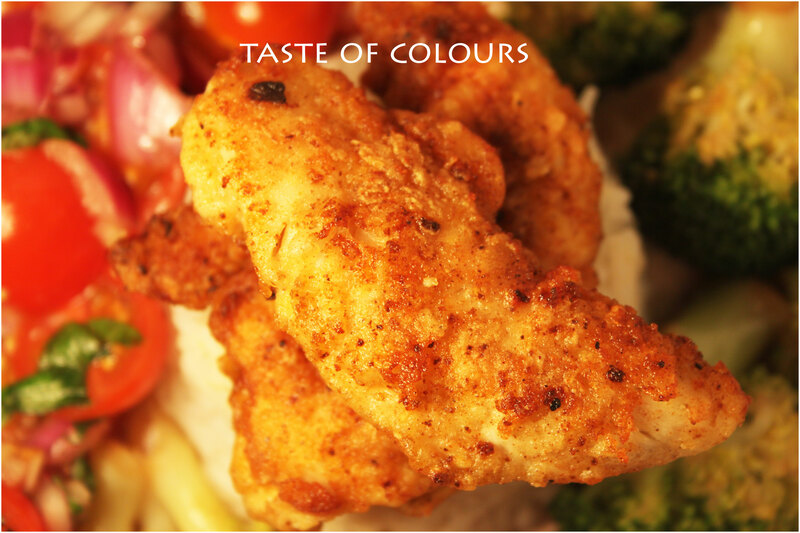 Tender stripes of chicken fillet with a delicately spiced rice flour coating makes a perfect meal served with rice and broccoli. Heat the olive oil in a frying pan. Dip the chicken strips into the egg white. Combine the rice flour and five-spice powder in a shallow dish and season. Add the chicken strips to the flour mixture and toss a coat. Fry the chicken for 5-7 minutes until crisp and golden. Aw.. 5 spice powder added to the flour. This makes me happy for find another use for my 5 spice.. I’m going to have this lovely dish tonight,,, thanks for this post..
Love the idea of using five-spice powder. Yum! The crust looks so good, and 5 spiced powder – inspired! Too yummy! Great picture, too. I love how easy this is! Thanks for sharing! This looks quite tasty! My jar of five spice has long since expired. Must get a fresh bottle to try out this unique flavor in a new way. Thanks for the hint.